There is no doubt but that this Joseph, to whom the Mother of the Savior was betrothed, was a good and faithful man; a faithful servant, I say, and prudent, whom the Lord made the solace of His Mother, his foster-father according to the flesh, and indeed, the single most trusted helper of His great counsel upon the earth. 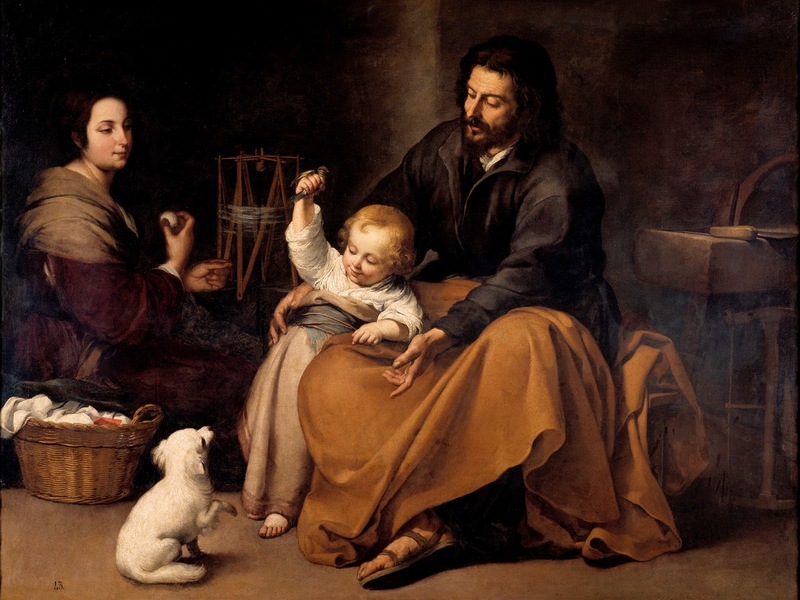 The feast of St Joseph, Patron of the Universal Church, was originally called “the Patronage of St Joseph,” and fixed to the Third Sunday after Easter. It was kept by a great many dioceses and religious orders, particularly promoted by the Carmelites, before it was extended to the universal Church by Bl. Pope Pius IX in 1847, and later granted an octave. When the custom of fixing feasts to particular Sundays was abolished as part of the Breviary reform of Pope St Pius X, it was anticipated to the previous Wednesday, the day of the week traditionally dedicated to Patron Saints. It was removed from the general Calendar in 1955 and replaced by the feast of St Joseph the Worker; the new feast itself was then downgraded from the highest of three grades (first class) in the 1962 Missal to the lowest of four (optional memorial) in 1970.